Shower bar 70 cm with soap holder. Shower bar 55 cm with soap holder. 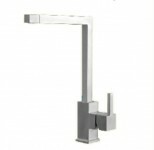 Shower bar 90 cm with soap holder. 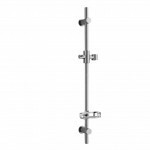 Thermostatic shower column black – All-in One. Zinc phosphated steel body lacquered with epoxy-polyester powder. Integrated rainshower, waterfall and side jets. Integrated thermostatic mixer with ceramic discs.Easy installation. 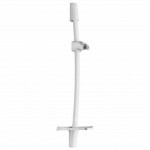 Thermostatic shower column white – All-in One. Zinc phosphated steel body lacquered with epoxy-polyester powder. Integrated rainshower, waterfall and side jets. Integrated thermostatic mixer with ceramic discs.Easy installation. Shower bar 74cm with soap holder – Black. 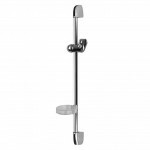 Shower bar 74cm with soap holder – White. 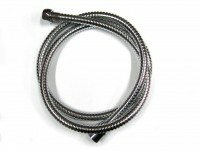 Flexible hose 150 cm. Chrome. 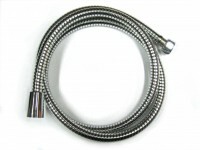 Shower hose 150cm. Anti-scratch. Swivel nut. 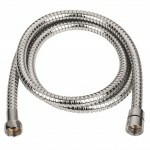 Shower hose 200cm. Anti-scratch. 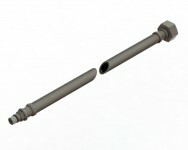 Swivel nut.